Visit Torbay Devon and the surrounding villages and stay in bed and breakfast, hotel or holiday apartment accommodation provided by BedPosts members. The borough of Torbay in Devon includes the towns of Torquay, Paignton and Brixham. It's known for being the holiday area "English Riviera". Attractions: sandy beaches, moderate climate and leisure/recreational facilities. Brixham still has a fishing fleet. 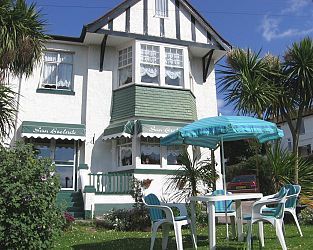 If you seek accommodation near Torbay in Devon you have come to the website of a “club” of providers who offer affordable quality accommodation around UK in hotels, bed and breakfasts, guesthouses, inns, and restaurants plus self-catering cottages and apartments .